:: The famous Red Knot called B95 or Moonbird has survived another Spring migration. Moonbird is about 20 years old and researchers believe he is the oldest living Red Knot. :: Alaska is experiencing some very rare birds this Spring migration, and higher numbers than usual. :: Marbled Murrelets are an endangered species and Steller’s Jays are eating their eggs in California. Researchers are putting out fake Murrelets eggs that induce vomiting in the Jays, so they won’t want to eat the endangered seabirds eggs. :: CBS News visited the Biggest Week in American Birding and aired a segment on birding. :: If you would like to see LEGO add a collection of North American bird kits to their line of products, please vote for these great LEGO birds by Thomas Poulsom (you may have seen his British, European, Oceana, or Tropical Lego birds already)! :: The American Bird Conservancy is requesting a ban on the insecticide neonicotinoid, poison so deadly it can kill a songbird with one kernel of corn. :: A pair of rare Common Cranes and their nest in Britain are under 24 hour surveillance to protect the eggs from collectors. :: From Rebecca at Rebecca in the Woods: Killdeer! Killdeer! Killdeer! 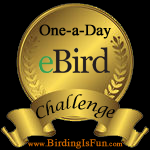 This entry was posted in Birding, Birding News, Blogging, General Birding and tagged Birding Adventures, Birding Is Fun, Birds, LEGO Birds, On The Wing Photography, Two Birders and Binoculars. Bookmark the permalink. I like your post on the birding news. I have to go and check out the blog links too. Have a great day and happy birding.